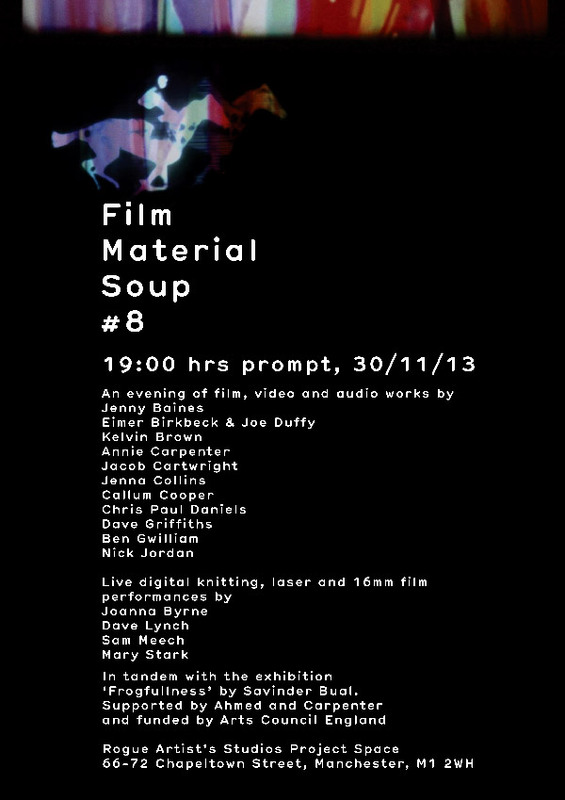 Next Saturday I will be doing a ‘knitting performance’ at the FILM MATERIAL SOUP event at Rogue Studios – a chance once again to share my work with knitting machines. The event showcases work by artists using sound, moving image and lasers. It’s fair to say i’m in some good company (see the list on the flyer below). I’ll be creating the Knitted Horse in Motion from scratch, using the punchcard loop, praying the no yarn snags or dropped stitches befall me. The iconic horse will also be making an appearance as part of David Lynch‘s work with lasers and mobile projection.